We renovated our bathroom. 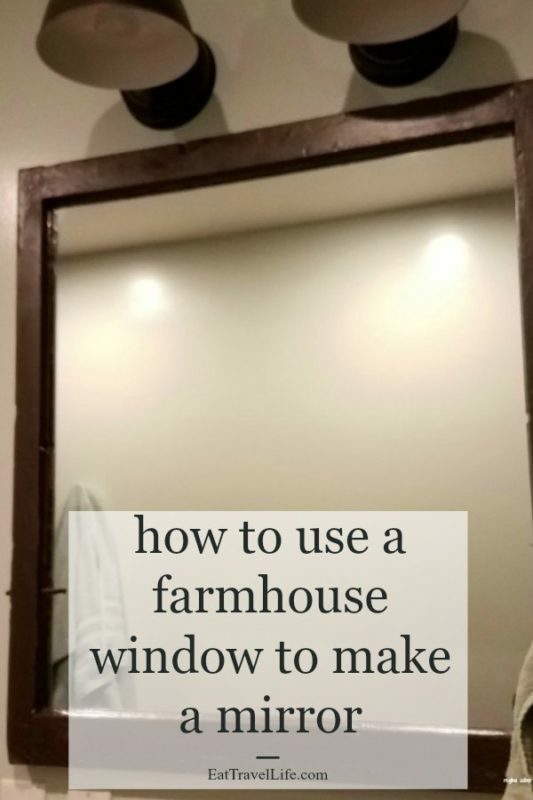 I had a hard time finding a mirror I liked to go into the farmhouse bathroom. We had an old window that fit the space perfectly. 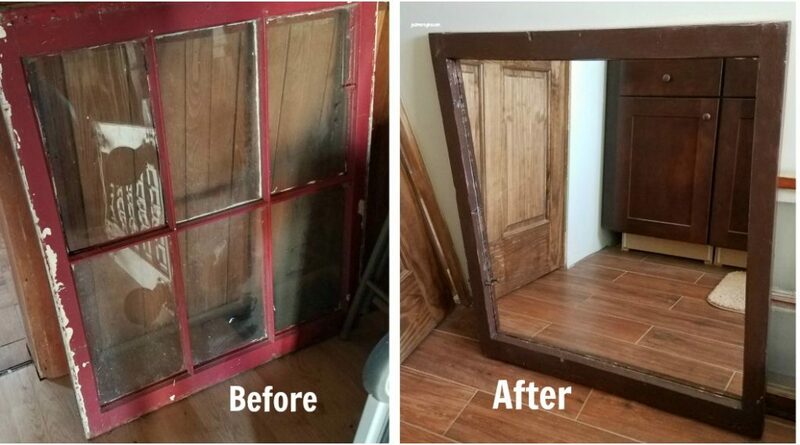 Here is how I completed the DIY window mirror project. 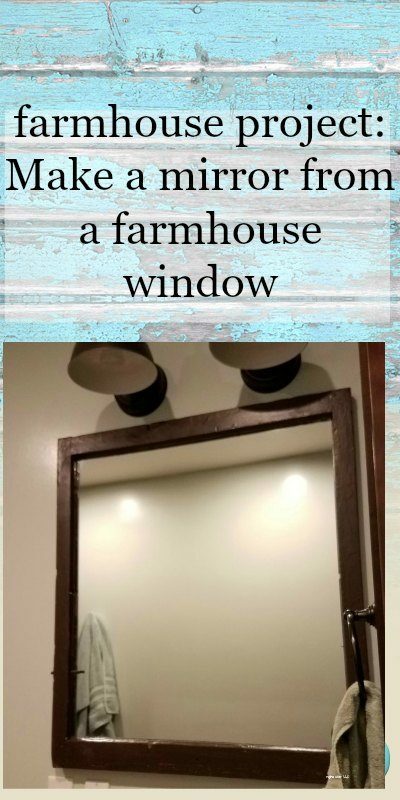 Window frame that fits in the space you want a mirror (the window frame has to be in good shape and not falling to pieces) Look for a window with a good solid structure. You will want to have a flat surface to work on. 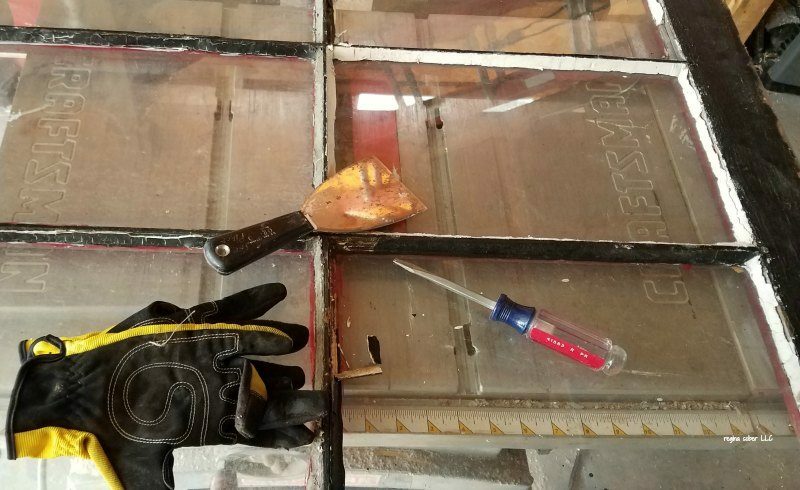 It is important to wear safety glasses and gloves when working with the glass, should it break. Use the 5-in-1 or scraper to remove the grout along the edges. Safely remove the glass. If it doesn’t break, you can set it aside for other projects. 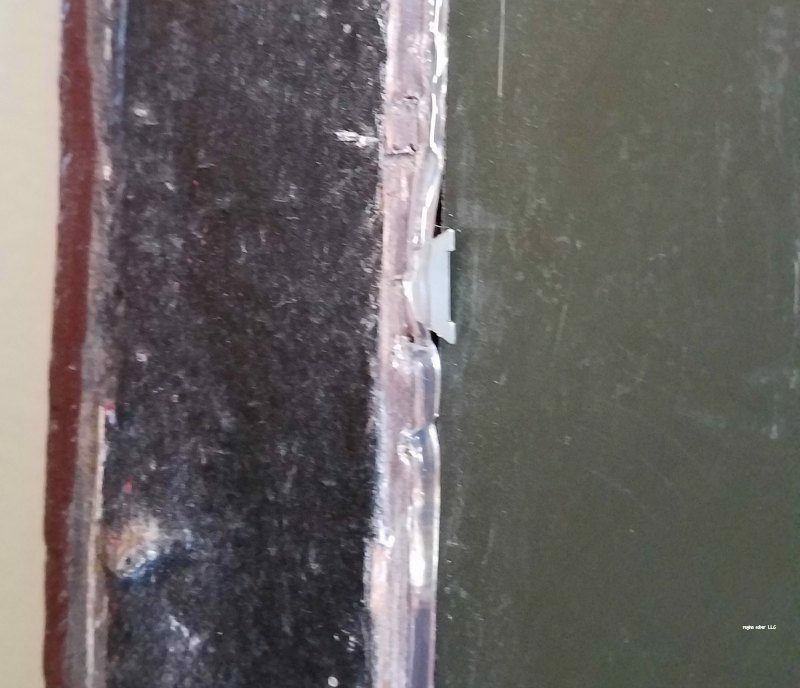 I had some windows break and I just moved the frame over the trash and broke them over the trash can, so there wasn’t a mess. Work to get any access grout out of the window channel. You will need to decide if you want to remove the grid or keep it in the window frame (if your window has this). I opted to remove the grid as it was damaged. Wearing your mask and safety glasses, remove any loose paint. Use the 5-in-1 or scraper. Sand down any uneven areas if you want a smooth surface. 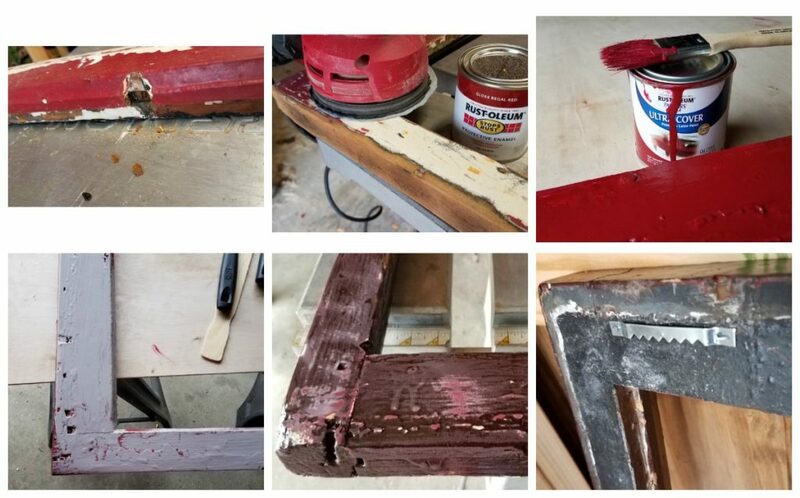 I just sanded to get any loose paint off using 120 grit sand paper. Here is where I was undecided. I originally wanted to have many layers of paint and sand down so you could see them all. I painted red paint, then a layer of a gray paint. When I selected my brown paint, it was gloss (and too glossy). 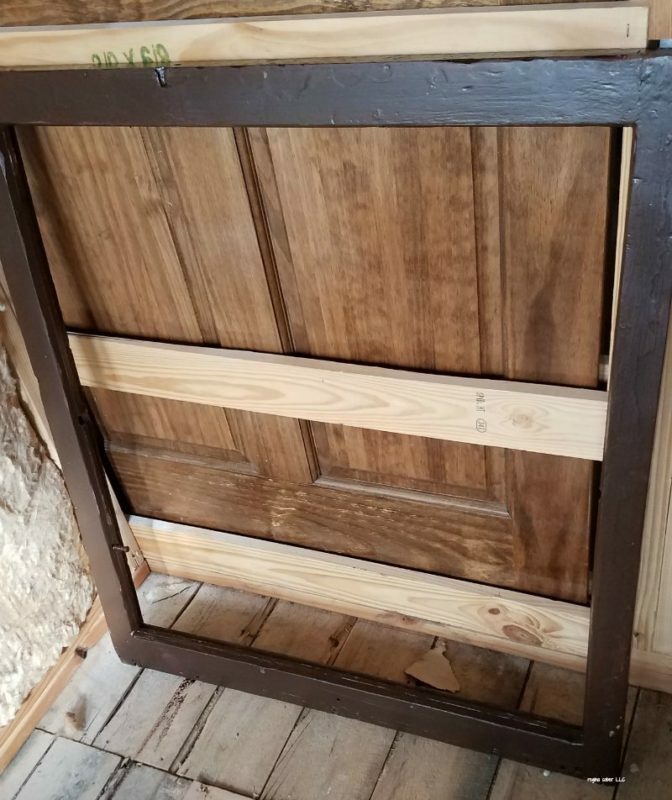 So I had to sand down my project and I used Rustoleum flat dark brown paint. Install the hooks to hang the wall. If your window is heavy, you will want to get heavy duty. This gave me the look I was going for. 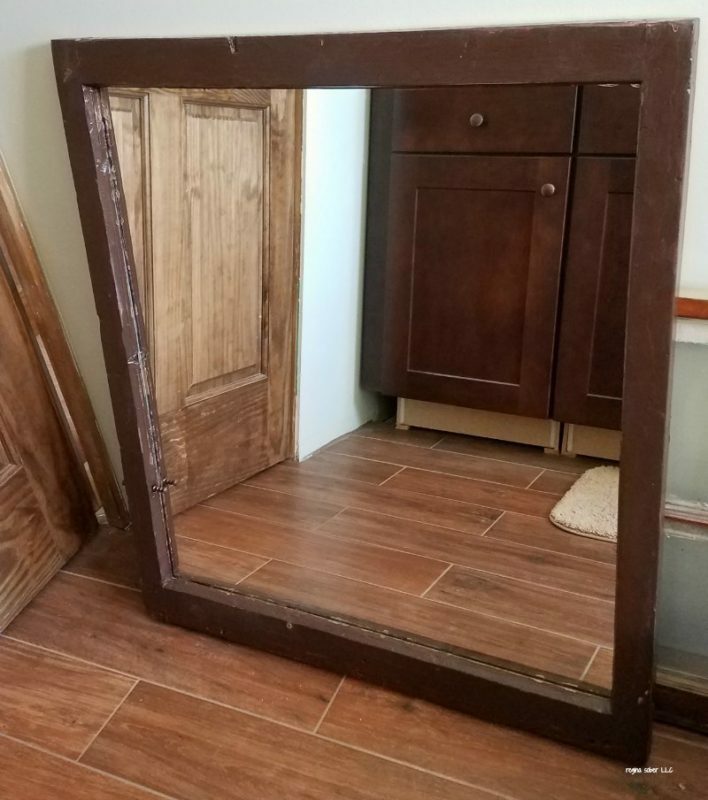 It’s not a perfect looking flat surface frame. You can still tell it is old. On the left you an see the mechanism that allowed you to open and close the window. If you are handy, just have them cut the glass to fit and install yourself. I opted to have them install and use the silicone. As you can see, I could have saved myself $12 and ran a bead of it around myself (lesson learned). 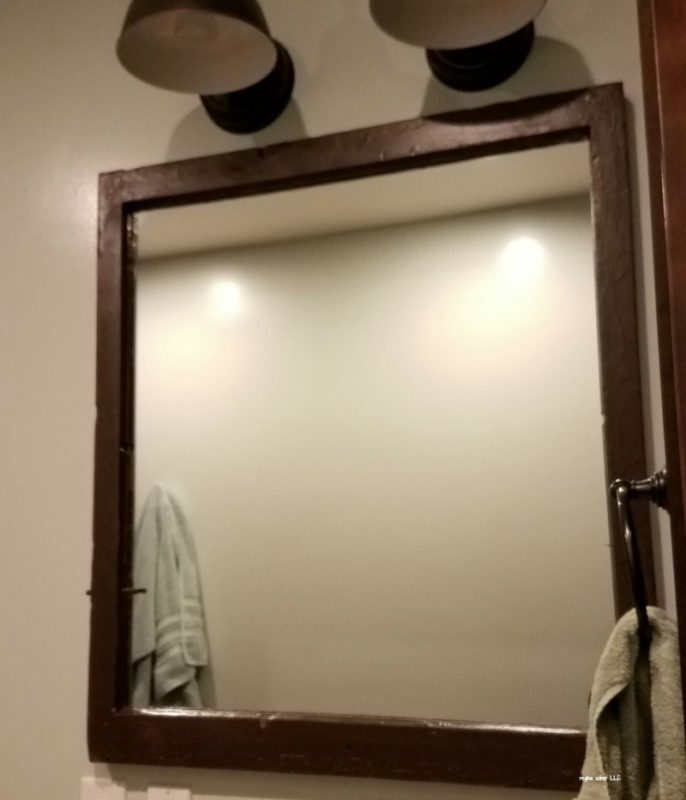 You will want to measure and hang your mirror where you wanted it to be placed. and enjoy.